The course is structured to leverage student enthusiasm. 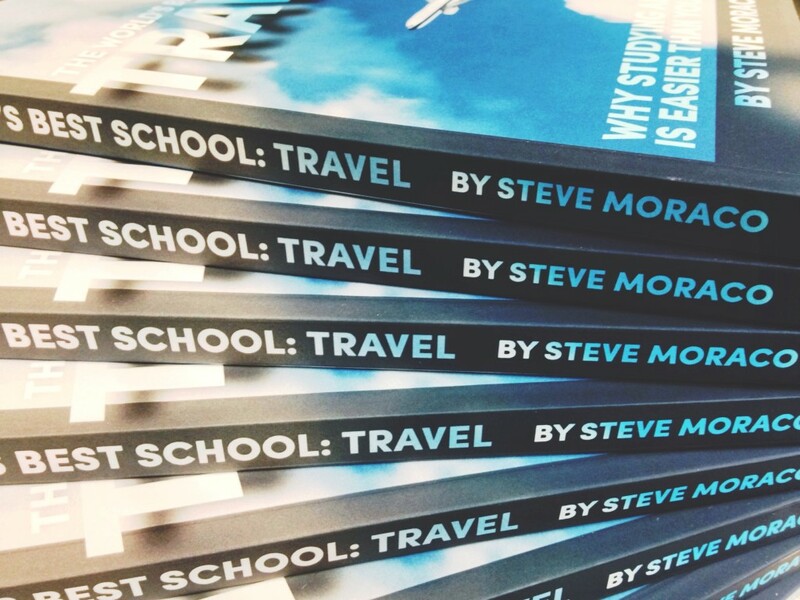 It empowers students by informing and encouraging those who would otherwise never get to travel. It’s an effective and engaging student-designed online course refined and endorsed by international educators, parents, and university administrators. It equips individual students to take advantage of campus-wide efforts like fundraising, advising, and other international education investments. 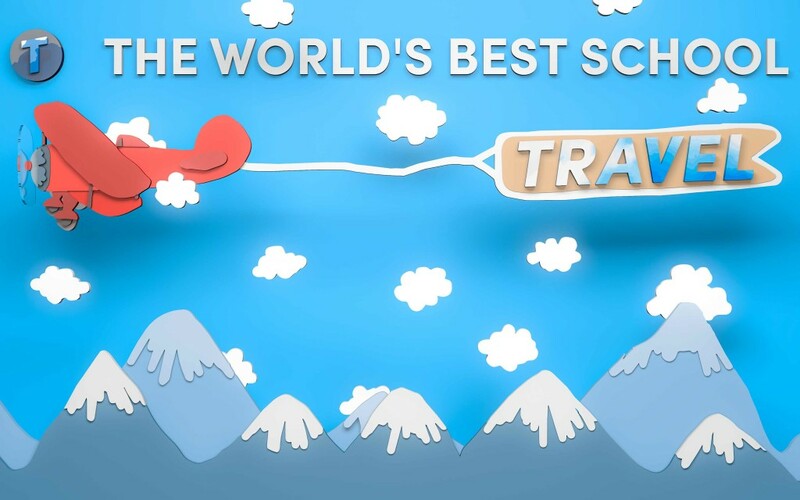 It’s all designed to help US students study, work, or volunteer abroad by connecting them to existing resources and find the support needed to travel. Watch to learn more about The Abroad Academy. Watch Steve (founder of Abroad Academy) talk about the Academy’s history and goals from both student and international educator perspectives in this very poorly lit, somewhat shaky, and hilariously casual video from the NAFSA expo floor. …then keep scrolling to read more. 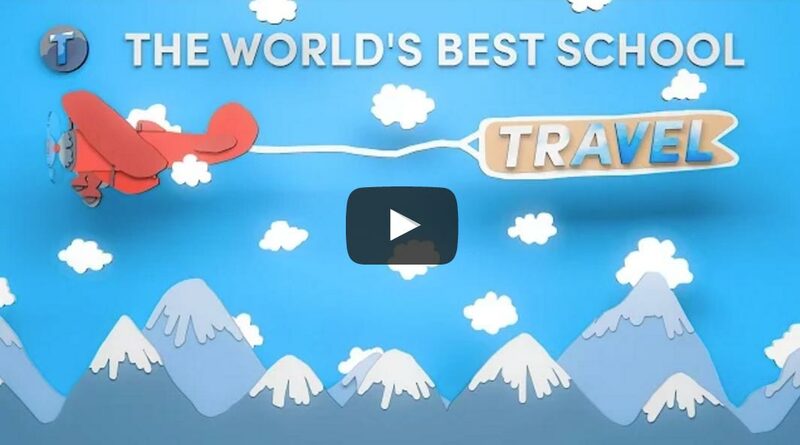 How Does The Abroad Academy Work? I’m glad you asked. I spent the last two years spent talking to and working with professors, study abroad program providers, university study abroad office representatives, and most of all students – both students who studied abroad and those who wanted to but didn’t get to – with the goal of putting together the most effective crash course to help students travel while in school. The result of all this is The Abroad Academy, an online course which aims to increase the number of US students studying abroad. It does this by helping students set realistic expectations for the process and believe in their own ability to make their dreams happen. Does that sound crazy? It works. Seriously. Check out this New York Times article about the power of student beliefs. This article hangs on the wall of my office so I see it every day. Most universities and program providers want to increase the number of US students abroad, but they work toward this goal using only two main approaches: fund raising (for scholarships) and student advising. They work, but they’re incredibly resource-heavy. 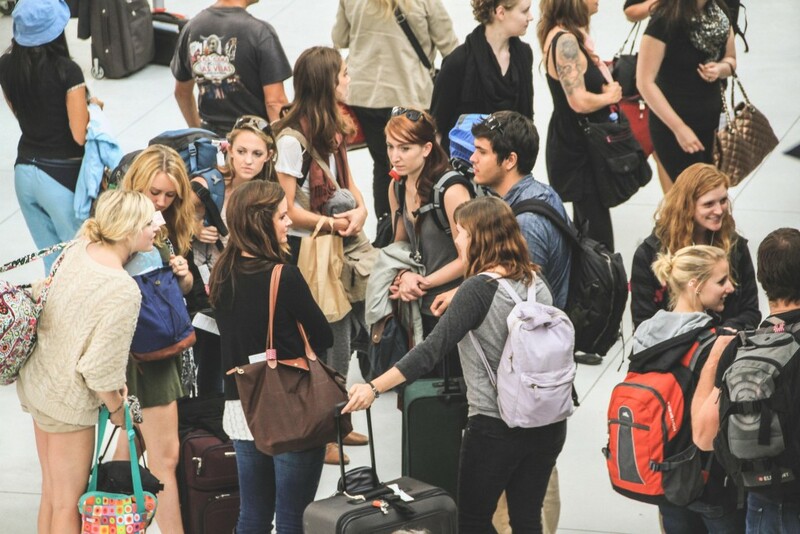 Without a little creativity and innovation, significantly increasing the number of students who travel internationally would be extremely expensive and logistically difficult. Despite the logistical and financial challenges the field faces, an amazing effort is already underway called the Generation Study Abroad (GSA) movement. The Abroad Academy is a proud partner. The Abroad Academy is a student-focused service that seeks to make initiatives like the GSA even more effective than they would be on their own. For instance, GSA member organizations are re-working the way universities and program providers approach sending students abroad. This will make it easier for those organizations to send larger numbers of students overseas. 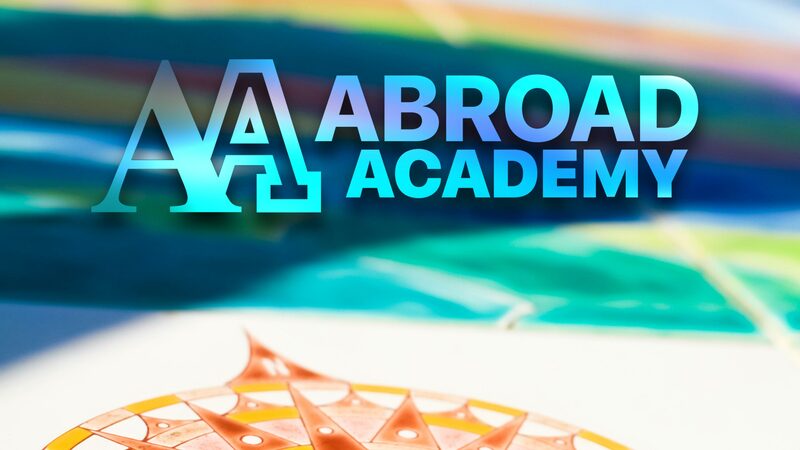 The Abroad Academy, on the other hand, is re-working the way students approach the possibility of going abroad by working directly with students to change their mindsets, and ensuring that more of them can actually do what is necessary to make travel realistic. The Abroad Academy works to increase the number of students who study abroad by training and leveraging student persistence. By encouraging students to just try again and solve road bumps in their abroad journey with creativity and grit, the Abroad Academy serves to increase the effectiveness of every dollar already being spent on scholarships, advising, and student outreach. It’s a win-win for the entire field of international education and for students who dream of traveling! 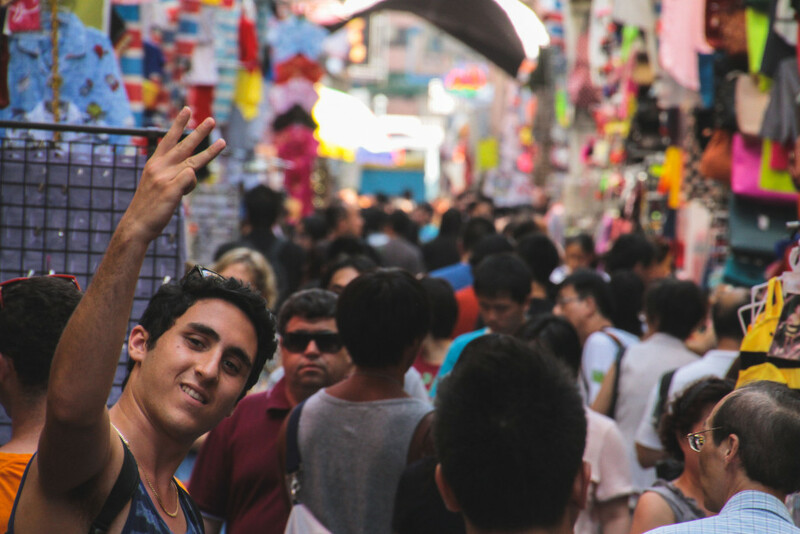 People who already want to study abroad don’t always get to – often for reasons like affordability, parent reservations about safety or expense, or concerns about receiving class credit. If they are warned that issues may arise in their plans and that obstacles should be seen as opportunities, they are simply more likely to succeed at studying abroad. Ready to be a part of the Abroad Academy? 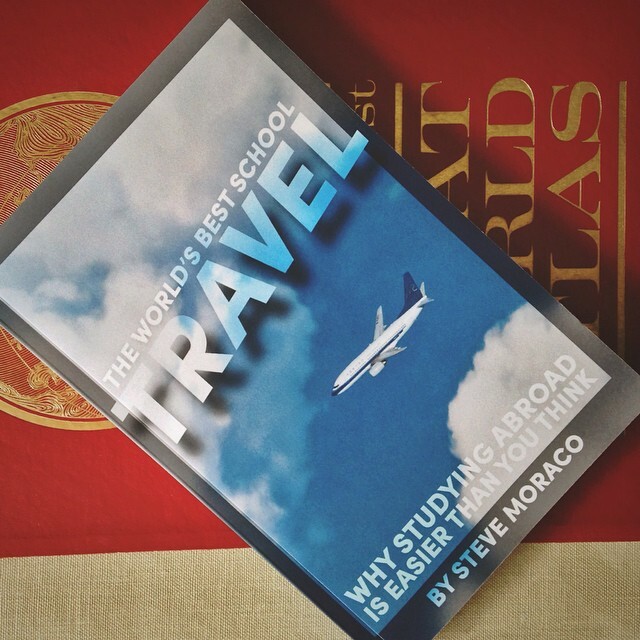 Steve Moraco believes students should get to travel the world instead of sitting in lecture halls and going into debt. 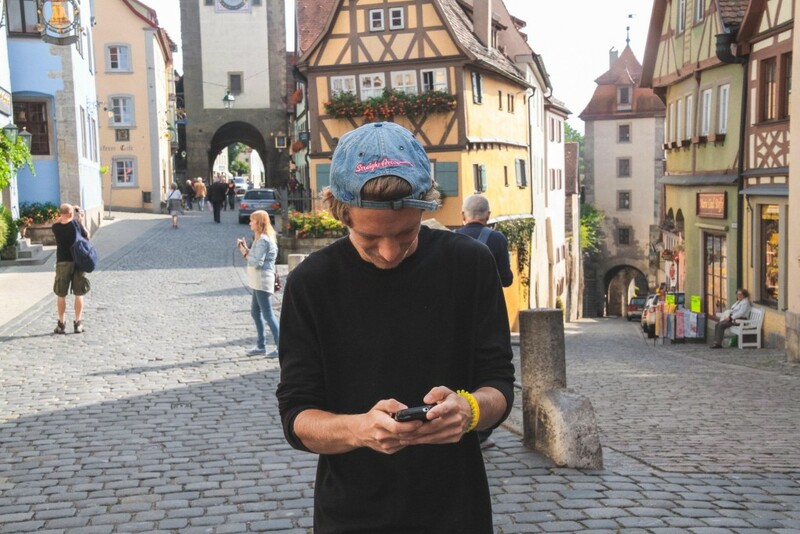 He founded the Abroad Academy to support, encourage, and inform students who want to travel. It works by equipping students with the skills, mindset, and resources they need to receive scholarships, garner social support, and practice persistence as they work toward their goals. He is chair of the Innovation & Entrepreneurship Member Interest Group (MIG) in the Association for International Educators, NAFSA. Steve loves finding ways to support fellow educators, artists, developers, and entrepreneurs. 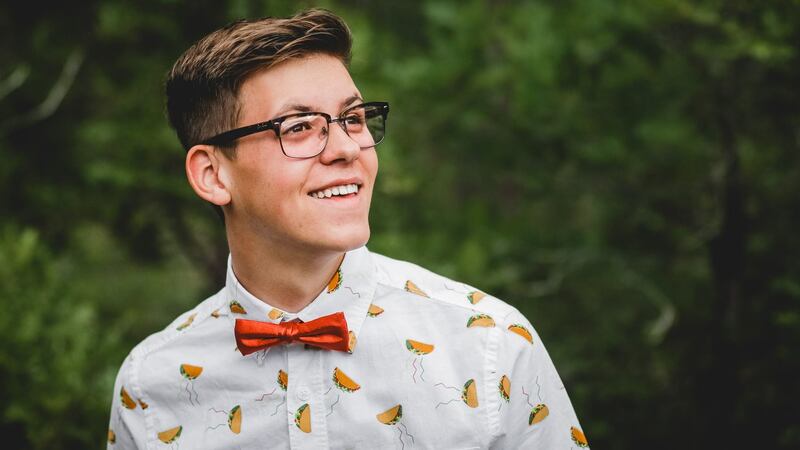 He’s is based in Southern Colorado where he helps organize and promote the startup/tech community through COSIT.co. 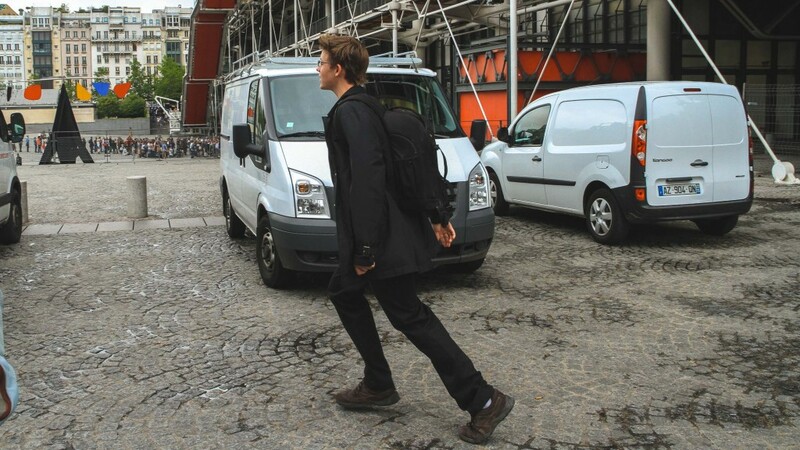 He spends his time taking pictures, figuring out how things work, traveling, writing, and meeting people. You can learn more about him at SteveMoraco.com or on LinkedIn. Short answer: I’m working hard on finding sustainable ways to sell the course directly to students. In the mean time working with program providers & listing services to sponsor/distribute the course. This dual approach serves as a way to test the assumptions I have about the effectiveness of a course students pay for themselves. I’m also working on ways to expand the field of international education in general through YouTube influencer and Snapchat takeover initiatives that will expose millions more students a year to the idea of studying abroad. In the long term I’d like to have the course return to its original form: a freshman orientation curriculum for US universities and colleges. I’m the first person that’ll admit that charging overworked debt-burdened students isn’t ideal. It hasn’t been long enough for me to forget how absurdly difficult and financially challenging college life is. If college-age me was faced with the choice between buying this online course and being able to afford chipotle a few more times a month, I realize it would be a difficult choice. Advertising – Almost every other study abroad company in the world uses this business model. It causes weird conflicts of interest. No one can be completely forthright about the expense and history of program providers if they depend on them to pay rent. Charging students means I am interested in serving students because students pay for the business. When you pay for the course you know you’re getting the most amazing content The Abroad Academy can possibly provide. Charging Abroad Companies – I can charge study abroad offices, universities, and program providers to provide access to my course to students. White label versions of the course have their limitations, but also their own benefits! Short term, collaborations like this help me make sure the course is valuable for the rest of the field. Long term, relying on each other instead of trying to grow the field independently would be less than ideal. Sustainability – I want to continue to maintain and update this online course. I want to continue to pay for the services it runs on (hosting & email automation). Independence – Getting the majority of the Abroad Academy’s revenue directly from the group of people we’re serving means I’ll serve more effectively. Student Motivation – You care more about stuff you paid for, right? Student Give-Back Initiatives – If you can’t afford it, but you care enough to email me and let me know you’d like a scholarship, I can get you access to the course, and maybe you care even more than the student who paid full price. Students who pay full price make it possible for me to give scholarship recipients access to the course. Steve Needs To Eat Initiative – I pay my rent, buy groceries, and pay business expenses with the money from this course that doesn’t go toward scholarships and advertising. I like eating, and you probably do, too, so I think that’s all I need to say. You can read the entire timeline on my personal blog (post coming soon). Summer 2014 – Write, edit, publish a book in 3 months. Winter 2014 – Rave reviews from students, 40,000 words of actual, thoughtful hand-written student feedback on a 60,000 word book. Begin revisions. Early 2015 – Finish revisions for half of book, completely botch the launch of StudyAbroadBook.com and AnyoneCanTravel.com in which I end up feeling spammy, awful, and having temporarily exhausted the kindness of all my friends. 80 signups. Spring 2015 – Back to the drawing board. Feel like I’m getting nowhere. Question everything. Reach out to everyone I met over the past 8 months of talking about the book for feedback, try to find a new direction. Learn about NAFSA, biggest international education industry conference. Attend NAFSA. Ask 1,000,000 questions. Learn 3,000,000 new things. Meet 5,000,000 new, incredible people who are doing great things in an amazing field. Summer 2015 – Become overwhelmed with followups from NAFSA, finally finish revision of the book content, now an online course. Autumn 2015 – GSA Conference. Meet more incredible people. Get overwhelmed with conference followups again, as one does. Put together this overview & animated info graphic of how the field of international education is approaching student support. Winter 2015 – Buckle down hard on just a few things that might result in actual returns for the business. 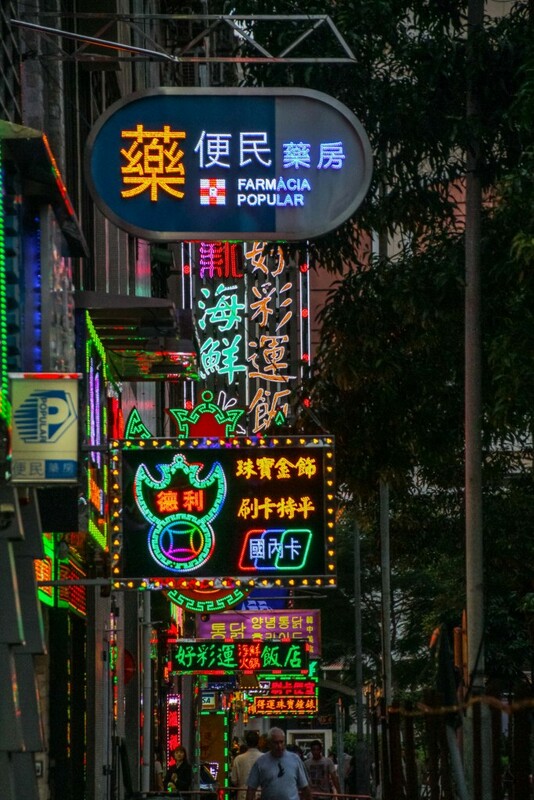 Focus on: partnerships, restructuring the business to match new things I’ve learned about international education, being of service where I can be helpful, writing guest blog posts. Early 2016 – Finalization of a complete rebrand and re-build: Abroad.Academy is now a completely online course – with no plans to republish the book version in the foreseeable future. Spring 2016 – Forum & NAFSA go incredibly well (see my notes from NAFSA on medium here). Partnerships with StudyAbroad.com & a writing position as ‘study abroad expert’ with GoOverseas.com get formally initialized. Suggestions from people who have been in the field for decades help me find a viable way to collaborate & partner with study abroad program providers. 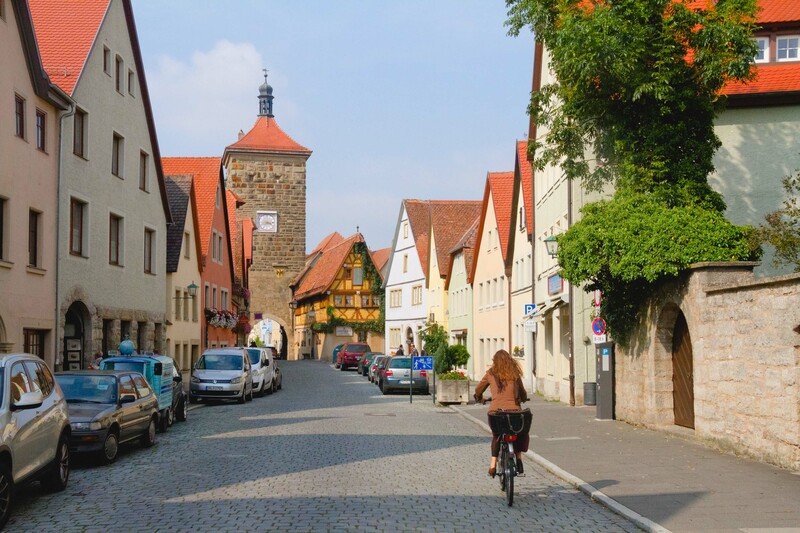 Summer 2016 – The Abroad Academy begins to focus on building mutually beneficial partnerships with program providers, study abroad listings, and student service companies for research and development purposes! Look forward to infographics about our discoveries at NAFSA 2017 in LA. In April of 2016 the first links to Abroad.Academy started going up around the web. After a year of listening, pivoting, and positioning, The Abroad Academy is poised to grow into a meaningful contribution to the field of international education and help many, many more US students find their way overseas. I’m sure there are twists, turns, pivots, and adjustments still to come, but I’m excited for a future full of learning, travel, and opportunity for The Abroad Academy and its students! 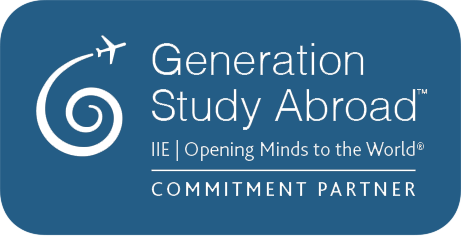 The Abroad Academy is a proud partner of Generation Study Abroad!